Anti-poaching advocates have tried all manner of ways to get people to stop purchasing illegal animal products, from celebrity ads to staged, public destruction of ivory caches. In June 2015, the US government made a very public display of crushing a ton in front of thousands of onlookers in Times Square. 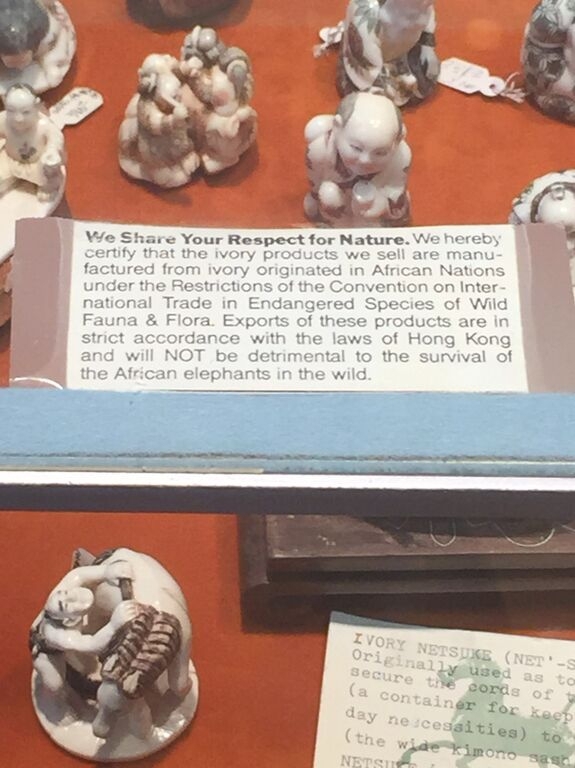 Yet poachers are still finding a market for illegal ivory on American streets, thanks to the US’s confusing and hard-to-enforce poaching laws. Long feature produced for America Abroad Media in July 2015, which is distributed by PRI. This entry was posted in Politics and tagged America Abroad, Bob Dreher, Ivory, NRDC, PRI, Sally Jewell. Bookmark the permalink.